NEW PROMOTION THIS YEAR! As our way of getting boys volleyball started in the Midlands, all boys may attend all youth leagues, clinics, and tryouts for FREE! Our fees for our boys teams will also be very low! All-Clinic Passes for $68 (covers dates listed above through Oct 19), or Single Clinic Passes for $14. Attend single clinics or all clinics depending on your schedule. Get an edge in addition to school ball. Attend as many clinics as you can! Every clinic date is a chance to get better at your position! Reward yourself with Skill Application on the court, and by challenging others! Competitive Games to get your blood flowing! clinic experience for players in every position. Training is available in your position EVERY week, and you get to play too! Welcoming Brand New & Experienced Players! Receive 10.5 hours of instruction and play on your last practice! Cost is $85 and players receive a FREE shirt! Get a Head Start and Fall in Love with one of the best sports ever! This is a perfect option for those trying the sport for the first time, and for young players who want fun and experience! You have a way to play even if you aren't old enough for school ball, or if you simply want more practice! 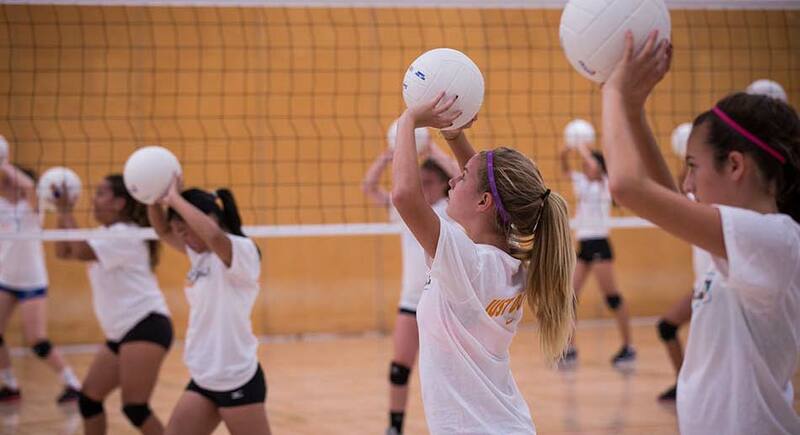 Advance volleyball in the Midlands by joining young!